I finally did it. I worked up just enough nerve to take the risk and begin my own home business – and I did it in one week. That’s right, it took me one week to research, create a business plan, legalize my business, create my own website, purchase start-up supplies, prepare advertising and be ready to launch. In addition to all of this, I was able to take care of my family as normal, maintain my home, run my business, and keep up with my college course work. I am exhausted! I don’t recommend starting a business in one week. I will tell you how I did it, and what I learned from it. I will also provide you with the research and resources that can get you started. Allthough, once again, I would not suggest trying to do it in one week. Lesson #1 – learned. 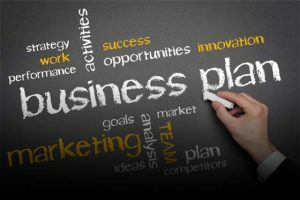 Lesson #2 – Creating a business plan. In order to create an effective business plan, one must research the type of business he or she chooses to open. There are several questions that must be asked such as: what is the type of business, will I need financing, how much will it cost to start and maintain, how will I make money, what will I charge for my service or product, who will be benefited by my business/service/product, are there similar businesses and what have they done, etc. To recap, the first and most important part of your business plan is the research. Complete your research (you may find the need for more research as time goes on), and proceed to the next step which is the question and answer phase. During phase 2, the question and answer phase, the prospective business owner must be able to answer the following questions: who, what, when where, why, how, and how long. Who will the business appeal, who will benefit, and who will be running the business, who will perform different functions of the business, who will need to be employed, who will you advertise to. What will your business be, what will you call it, what will you need to start your business, what will you benefit from the business, what will you sell, what market will you reach, what will your structure be, what do you need to do to legalize your company, what types of licensing do you need, what taxes will you be responsible for? When will you launch your business, when are your deadlines for completing specific transactions or items, when will you require funds, when will you pay those funds back, when will you organize? Why are you doing this, why do you need to meet specific deadlines, why do you pay taxes and legalize, why you will need to advertise, why you need funds to begin, why people will want to do business with you? How will you put everything into action, how will you reach deadlines, how will you pay for things, how will you advertise, how will you hire employees, how will you maintain your business, and how will you budget your time? How long will it take to see profits, how long will it take to pay loans, how long will it take to launch? All of these questions are very important to ask and answer. Keep in mind, there is a large number of businesses that fail within the first year. How will you avoid becoming a statistic, how will you protect yourself, and how can you plan for the worst while expecting the best. Phase 3 of your business plan is to write everything down and organize it in a logical manner for yourself to refer back to. If there is a need to create a presentation for potential funding be sure to present your information in a clean, clear, and concise manner with thorough research to back you up. You will also need to create a mission statement or vision statement. Your statement, should actually be something you do during the brainstorming phase of your business plan. People with mission statements tend to achieve higher results because they have goals, and they have plans for implementing and reaching those goals. Now, you may be asking how I created a business plan that I would be able to apply within a week. Here is my secret, and one that I would not suggest – I did it as I went along. My business plan was not well organized and it had several flaws such as questions that were not answered. The lack of organization in my plan created more time delays for me when it came to implementing my plan and launching my business. So my suggestion to you is to take the time and construct a well written, well thought out plan. Insight help from your family and friends by asking them to review it and ask you questions that may help you fill in the gaps. Good luck, this part of starting your own business is one of the most difficult. I have read that it takes many individuals and companies a year or more to complete this portion, so be patient and do not get overwhelmed. Be on the look out for the next article in this series titled, “How to Start a Small Business in One Week Part Two – A Busy Mom’s Guide to Business”. 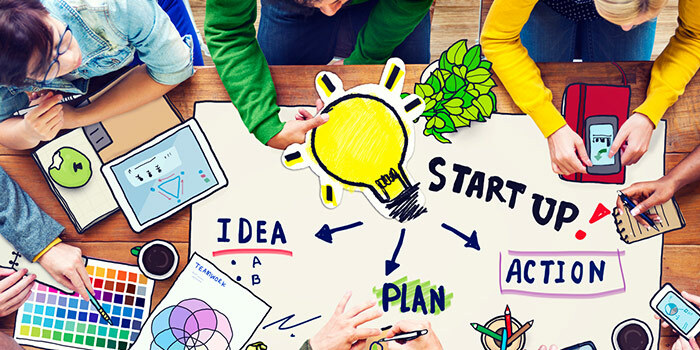 Here you will find online tech tips and information on starting your own business.